So what makes us so sure you'll enjoy OUR coffee? Quite simply, our coffee is really good! It's 100% organic and 100% fair trade and it's won quite a few medals at the New Zealand Coffee Awards..... oh and our Capital Blend was voted 2nd Best Coffee in Wellington in 2013! 2007 | Our first time out of the gates! You may have heard the term "batch roasting". 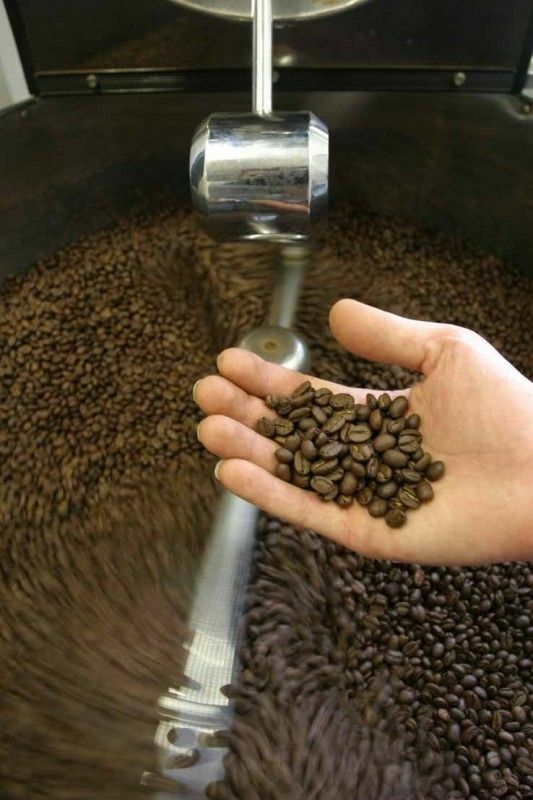 This is when a product is roasted in small amounts, more frequently; to ensure the utmost freshness and flavour. This is how we roast our coffee. We hand blend all our coffees then batch roast (10-12 roasts in a sitting) to ensure quality and consistency of product. We don't like to have oodles of coffee sitting around in bags on shelves, compromising it's goodness. Instead, we nurture our coffee; roasting beautiful buckets of beans, multiple times each day and week. WATCH THIS SPACE as the Celcius Coffee Family of customers continues to grow throughout Aotearoa!